Stem cell therapy offers a great advantage for the development of new treatments in the field of regenerative and restorative medicine. However, the use of stem cell therapies and their clinical indications can even be further improved using genetic modification of the cells. Due to the high level of consanguineous marriages in Turkey, the country suffers from an increased frequency of inborn genetically inherited diseases. Treatment of these diseases is difficult, since 1) diagnosis is often delayed in rural areas, 2) distance to specialized centers may be considerable, 3) treatment may require frequent hospital visits and 4) treatment procedures are often both invasive and expensive. Here, we discuss the current status of gene therapy of hematopoietic stem cells (HSCs) for rare, inherited monogenic diseases and the advantages to use these cells as an alternative treatment option for patients in Turkey. We discuss results of clinical trials using retroviral and lentiviral gene therapy for the treatment of immune deficiencies, hemoglobinopathies and several enzyme deficiencies, new developments in the field of the HSC gene therapy to improve safety and efficacy and recommendations for the future. Kök hücre tedavisi rejeneratif tıp ve restoratif tıp alanlarında yeni tedavilerin geliştirilmesi için büyük avantaj sağlamaktadır. Böylelikle, kök hücre tedavilerinin kullanımı ve bunların klinik endikasyonları hücrelerin genetik modifikasyonu ile geliştirilebilmektedir. Türkiye’deki akraba evlilik oranının fazla olmasından dolayı, yenidoğan genetik kalıtsal hastalıkların insidası artmaktadır ve bu durum bir sorun teşkil etmektedir. Bu hastalıkların tedavi edilmesi; 1) kırsal bölgelerde hastalığın sıklıkla geç teşhisi, 2) Özel merkezlerin uzak olması, 3) Tedavilerin sık hastane kontrolü gerektirmesi, 4) Tedavi prosedürlerinin hem pahalı hem de invazif olması nedenleriyle zordur. Bu makalede nadir kalıtsal monogenik hastalıklar için hematopoetik kök hücre (HKH) gen tedavisinin güncel durumları ve Türkiye’deki hastalar için alternatif bir tedavi seçeneği olarak kullanımının avantajları tartışılacaktır. İmmun yetmezlikler, hemoglobinopatiler, birçok enzim eksikliklerinde retroviral ve lentiviral gen tedavi klinik çalışma sonuçları, HKH gen tedavisi alanındaki yeni gelişmeler, güvenlik ve etkinliğin artırılması ve gelecekteki öneriler tartışılacaktır. Aiuti, A., Cassani, B., Andolfi, G., Mirolo, M., Biasco, L., Recchia, A, Urbinati, F., Valacca, C., Scaramuzza, S., Aker, M., Slavin, S., Cazzola, M., Sartori, D., Ambrosi, A., Di Serio, C., Roncarolo, M.G., Mavilio, F. & Bordignon, C. 2007. Multilineage hematopoietic reconstitution without clonal selection in ADA-SCID patients treated with stem cell gene therapy. The Journal Of Clinical Investigation, 117(8): 2233-40. Aiuti, A., Cattaneo, F., Galimberti, S., Benninghoff, U., Cassani, B., Callegaro, L., Scaramuzza, S., Andolfi, G., Mirolo, M., Brigida, I., Tabucchi, A., Carlucci, F., Eibl, M., Aker, M., Slavin, S., Al-Mousa, H., Al Ghonaium, A., Ferster, A., Duppenthaler, A., Notarangelo, L., Wintergerst, U., Buckley, R.H., Bregni, M., Marktel, S., Valsecchi, M.G., Rossi, P., Ciceri, F., Miniero, R., Bordignon, C. & Roncarolo, M.G. 2009. Gene therapy for immunodeficiency due to adenosine deaminase deficiency. New England Journal of Medicine, 360(5): 447-458. Aiuti, A. & Roncarolo, M.G. 2009. Ten years of gene therapy for primary immune deficiencies. Hematology of the American Society Hematology Education Program, 1: 682-689. Aiuti, A., Roncarolo, M.G. & Naldini, L. 2017. Gene therapy for Ada‐scid, the first marketing approval of an: paving the road for the next generation of advanced therapy medicinal productsex vivo: paving the road for the next generation of advanced therapy medicinal products gene therapy in Europe: paving the road for the next generation of advanced therapy medicinal products. Embo Molecular Medicine, 9(6): 737-740. Aiuti, A., Slavin, S., Aker, M., Ficara, F., Deola, S., Mortellaro, A., Morecki, S., Andolfi, G., Tabucchi, A., Carlucci, F., Marinello, E., Cattaneo, F., Vai, S., Servida, P., Miniero, R., Roncarolo, M.G. & Bordignon, C. 2002. Correction of ADA-SCID by stem cell gene therapy combined with nonmyeloablative conditioning. Science, 296(5577): 2410-2413. Aiuti, A., Vai, S., Mortellaro, A., Casorati, G., Ficara, F., Andolfi, G., Ferrari, G., Tabucchi, A., Carlucci, F., Ochs, H.D., Notarangelo, L.D., Roncarolo, M.G. & Bordignon, C. 2002. Immune reconstitution in ADA-SCID after PBL gene therapy and discontinuation of enzyme replacement. Nature Medicine, 8(5): 423-425. Antoine, C., Muller, S., Cant, A., Cavazzana-Calvo, M., Veys, P., Vossen, J., Fasth, A., Heilmann, C., Wulffraat, N., Seger, R., Blanche, S., Friedrich, W., Abinun, M., Davies, G., Bredius, R., Schulz, A., Landais, P. & Fischer, A. 2003. Long-term survival and transplantation of haemopoietic stem cells for immunodeficiencies: report of the European experience 1968-99. Lancet, 361(9357): 553-560. Arnold, D.E. & Heimall, J.R. 2017. A Review of Chronic Granulomatous Disease. Advances in Therapy, 34(12): 2543-2557. Balci, Y.I., Tavil, B., Tan, C.S., Ozgur, T.T., Bulum, B., Cetin, M., Balci, M., Yalcin, S., Tezcan, I. & Uckan, D. 2011. Increased availability of family donors for hematopoietic stem cell transplantation in a population with increased incidence of consanguinity. Clinical Transplantation, 25(3): 475-480. Banasik, M.B. & McCray, P.B., Jr. 2010. Integrase-defective lentiviral vectors: progress and applications. Gene Therapy, 17(2):150-157. Beck, M. 2018. Treatment strategies for lysosomal storage disorders. Developmental Medicine and Child Neurology, 60(1):13-18. Benhamida, S., Pflumio, F., Dubart-Kupperschmitt, A., Zhao-Emonet, J.C., Cavazzana-Calvo, M., Rocchiccioli, F., Fichelson, S., Aubourg, P., Charneau, P. & Cartier, N. 2003. Transduced CD34+ cells from adrenoleukodystrophy patients with HIV-derived vector mediate long-term engraftment of NOD/SCID mice. Molecular Therapy, 7(3): 317-324. Berkhout, B. 2017. A Fourth Generation Lentiviral Vector: Simplifying Genomic Gymnastics. Molecular Therapy, 25(8): 1741-1743. Biffi, A. 2017. Hematopoietic Stem Cell Gene Therapy for Storage Disease: Current and New Indications. Molecular Therapy, 25(5): 1155-1162. Biffi, A., Aubourg, P. & Cartier, N. 2011. Gene therapy for leukodystrophies. Human Molecular Genetics, 20(R1); R42-53. Biffi, A., Capotondo, A., Fasano, S., del Carro, U., Marchesini, S., Azuma, H., Malaguti, M.C., Amadio, S., Brambilla, R., Grompe, M., Bordignon, C., Quattrini, A. & Naldini, L. 2006. Gene therapy of metachromatic leukodystrophy reverses neurological damage and deficits in mice. The Journal of Clinical Investigation, 116(11): 3070-3082. Biffi, A., De Palma, M., Quattrini, A., Del Carro, U., Amadio, S., Visigalli, I., Sessa, M., Fasano, S., Brambilla, R., Marchesini, S., Bordignon, C. & Naldini, L. 2004. Correction of metachromatic leukodystrophy in the mouse model by transplantation of genetically modified hematopoietic stem cells. The Journal of Clinical Investigation, 113(8): 1118-1129. Biffi, A., Montini, E., Lorioli, L., Cesani, M., Fumagalli, F., Plati, T., Baldoli, C., Martino, S., Calabria, A., Canale, S., Benedicenti, F., Vallanti, G., Biasco, L., Leo, S., Kabbara, N., Zanetti, G., Rizzo, W.B., Mehta, N.A., Cicalese, M.P., Casiraghi, M., Boelens, J.J., Del Carro, U., Dow, D.J., Schmidt, M., Assanelli, A., Neduva, V., Di Serio, C., Stupka, E., Gardner, J., von Kalle, C., Bordignon, C., Ciceri, F., Rovelli, A., Roncarolo, M.G., Aiuti, A., Sessa, M. & Naldini, L. 2013. Lentiviral hematopoietic stem cell gene therapy benefits metachromatic leukodystrophy. Science, 341(6148): 1233158. Blackburn, M.R. & Kellems, R.E. 2005. Adenosine deaminase deficiency: metabolic basis of immune deficiency and pulmonary inflammation. Advances in Immunology, 86: 1-41. Blaese, R.M., Culver, K.W., Miller, A.D., Carter, C.S., Fleisher, T., Clerici, M., Shearer, G., Chang, L., Chiang, Y., Tolstoshev, P., Greenblatt, J.J., Rosenberg, S.A., Klein, H., Berger, M., Mullen, C.A., Ramsey, W.J., Muul, L., Morgan, R.A. & Anderson, W.F. 1995. T lymphocyte-directed gene therapy for ADA- SCID: initial trial results after 4 years. Science, 270(5235): 475-480. Boelens, J.J. 2006. Trends in haematopoietic cell transplantation for inborn errors of metabolism. Journal of Inherited Metabolic Disease, 29(2-3): 413-420. Boelens, J.J., Prasad, V.K., Tolar, J., Wynn, R.F. & Peters, C. 2010. Current international perspectives on hematopoietic stem cell transplantation for inherited metabolic disorders. Pediatric Clinics of North America, 57(1): 123-145. Bordignon, C., Notarangelo, L.D., Nobili, N., Ferrari, G., Casorati, G., Panina, P., Mazzolari, E., Maggioni, D., Rossi, C., Servida, P., Ugazio, A.G. & Mavilio, F. 1995. Gene therapy in peripheral blood lymphocytes and bone marrow for ADA- immunodeficient patients. Science, 270(5235): 470-475. Buchschacher, G.L., Jr. & Wong-Staal, F. 2000. Development of lentiviral vectors for gene therapy for human diseases. Blood, 95(8): 2499-2504. Cappelli, B. & Aiuti, A. 2010. Gene therapy for adenosine deaminase deficiency. Immunology and Allergy Clinics of North America, 30(2): 249-260. Cartier, N. & Aubourg, P. 2010. Hematopoietic stem cell transplantation and hematopoietic stem cell gene therapy in X-linked adrenoleukodystrophy. Brain Pathology, 20(4): 857-862. Cartier, N., Hacein-Bey-Abina, S., Bartholomae, C.C., Bougneres, P., Schmidt, M., Kalle, C.V., Fischer, A., Cavazzana-Calvo, M. & Aubourg, P. 2012. Lentiviral hematopoietic cell gene therapy for X-linked adrenoleukodystrophy. Methods in Enzymology, 507: 187-198. Cartier, N., Hacein-Bey-Abina, S., Bartholomae, C.C., Veres, G., Schmidt, M., Kutschera, I., Vidaud, M., Abel, U., Dal-Cortivo, L., Caccavelli, L., Mahlaoui, N., Kiermer, V., Mittelstaedt, D., Bellesme, C., Lahlou, N., Lefrère, F., Blanche, S., Audit, M., Payen, E., Leboulch, P., l'Homme, B., Bougnères, P., Von Kalle, C., Fischer, A., Cavazzana-Calvo, M. & Aubourg, P. 2009. Hematopoietic stem cell gene therapy with a lentiviral vector in X-linked adrenoleukodystrophy. Science, 326(5954): 818-823. Cavazzana-Calvo, M., Hacein-Bey, S., de Saint Basile, G., Gross, F., Yvon, E., Nusbaum, P., Selz, F., Hue, C., Certain, S., Casanova, J.L., Bousso, P., Deist, F.L. & Fischer, A. 2000. Gene therapy of human severe combined immunodeficiency (SCID)-X1 disease. Science, 288(5466): 669-672. Cavazzana-Calvo, M., Payen, E., Negre, O., Wang, G., Hehir, K., Fusil, F., Down, J., Denaro, M., Brady, T., Westerman, K., Cavallesco, R., Gillet-Legrand, B., Caccavelli, L., Sgarra, R., Maouche-Chrétien, L., Bernaudin, F., Girot, R., Dorazio, R., Mulder, G.J., Polack, A., Bank, A., Soulier, J., Larghero, J., Kabbara, N., Dalle, B., Gourmel, B., Socie, G., Chrétien, S., Cartier, N., Aubourg, P., Fischer, A., Cornetta, K., Galacteros, F., Beuzard, Y., Gluckman, E., Bushman, F., Hacein-Bey-Abina, S. & Leboulch, P. 2010. Transfusion independence and HMGA2 activation after gene therapy of human beta-thalassaemia. Nature, 467(7313): 318-322. Cavazzana, M. 2016. Gene Therapy Studies in Hemoglobinopathies: Successes and Challenges. Blood, 128(22): SCI-50. Chinen, J., Davis, J., De Ravin, S.S., Hay, B.N., Hsu, A.P., Linton, G.F., Naumann, N., Nomicos, E.Y., Silvin, C., Ulrick, J., Whiting-Theobald, N.L., Malech, H.L. & Puck, J.M. 2007. Gene therapy improves immune function in preadolescents with X-linked severe combined immunodeficiency. Blood, 110(1): 67-73. Chiriaco, M., Farinelli, G., Capo, V., Zonari, E., Scaramuzza, S., Di Matteo, G., Sergi, L.S., Migliavacca, M., Hernandez, R.J., Bombelli, F., Giorda, E., Kajaste-Rudnitski, A., Trono, D., Grez, M., Rossi, P., Finocchi, A., Naldini, L., Gentner, B. & Aiuti, A. 2014. Dual-regulated lentiviral vector for gene therapy of X-linked chronic granulomatosis. Molecular Therapy, 22(8): 1472-1483. Dave, U.P., Jenkins, N.A. & Copeland, N.G. 2004. Gene therapy insertional mutagenesis insights. Science, 303(5656): 333. Deichmann, A., Hacein-Bey-Abina, S., Schmidt, M., Garrigue, A., Brugman, M.H., Hu, J., Glimm, H., Gyapay, G., Prum, B., Fraser, C.C., Fischer, N., Schwarzwaelder, K., Siegler, M.L., de Ridder, D., Pike-Overzet, K., Howe, S.J., Thrasher, A.J., Wagemaker, G., Abel, U., Staal, F.J., Delabesse, E., Villeval, J.L., Aronow, B., Hue, C., Prinz, C., Wissler, M., Klanke, C., Weissenbach, J., Alexander, I., Fischer, A., von Kalle, C. & Cavazzana-Calvo, M. 2007. Vector integration is nonrandom and clustered and influences the fate of lymphopoiesis in SCID-X1 gene therapy. The Journal of Clinical Investigation, 117(8): 2225-2232. DiMasi, J.A., Hansen, R.W. & Grabowski, H.G. 2003. The price of innovation: new estimates of drug development costs. Journal of Health Economics, 22(2): 151-185. Dull, T., Zufferey, R., Kelly, M., Mandel, R.J., Nguyen, M., Trono, D. & Naldini, L. 1998. A third-generation lentivirus vector with a conditional packaging system. Journal of Virology, 72(11): 8463-8471. Eichler, F., Duncan, C., Musolino, P.L., Orchard, P.J., De Oliveira, S., Thrasher, A.J., Armant, M., Dansereau, C., Lund, T.C., Miller, W.P., Raymond, G.V., Sankar, R., Shah, A.J., Sevin, C., Gaspar, H.B., Gissen, P., Amartino, H., Bratkovic, D., Smith, N.J.C., Paker, A.M., Shamir, E., O'Meara, T., Davidson, D., Aubourg, P. & Williams, D.A. 2017. Hematopoietic Stem-Cell Gene Therapy for Cerebral Adrenoleukodystrophy. The New England Journal of Medicine, 377(17): 1630-1638. Engel, B.C., Podsakoff, G.M., Ireland, J.L., Smogorzewska, E.M., Carbonaro, D.A., Wilson, K., Shah, A., Kapoor, N., Sweeney, M., Borchert, M., Crooks, G.M., Weinberg, K.I., Parkman, R., Rosenblatt, H.M., Wu, S.Q., Hershfield, M.S., Candotti, F. & Kohn, D.B. 2007. Prolonged pancytopenia in a gene therapy patient with ADA-deficient SCID and trisomy 8 mosaicism: a case report. Blood, 109(2): 503-506. Ferrua, F., Brigida, I. & Aiuti, A. 2010. Update on gene therapy for adenosine deaminase-deficient severe combined immunodeficiency. Current Opinion in Allergy and Clinical Immunology, 10(6): 551-556. Frecha, C., Szecsi, J., Cosset, F.L. & Verhoeyen, E. 2008. Strategies for targeting lentiviral vectors. Current Gene Therapy, 8(6): 449-460. Friedrich, W. & Honig, M. 2010. HLA-haploidentical donor transplantation in severe combined immunodeficiency. Immunology and Allergy Clinics of North America, 30(1): 31-44. Gaspar, H.B. 2010. Bone marrow transplantation and alternatives for adenosine deaminase deficiency. Immunology and Allergy Clinics of North America, 30(2): 221-236. Gaspar, H.B., Aiuti, A., Porta, F., Candotti, F., Hershfield, M.S. & Notarangelo, L.D. 2009. How I treat ADA deficiency. Blood, 114(17): 3524-3532. Gaspar, H.B., Bjorkegren, E., Parsley, K., Gilmour, K.C., King, D., Sinclair, J., Zhang, F., Giannakopoulos, A., Adams, S., Fairbanks, L.D., Gaspar, J., Henderson, L., Xu-Bayford, J.H., Davies, E.G., Veys, P.A., Kinnon, C. & Thrasher, A.J. 2006. Successful reconstitution of immunity in ADA-SCID by stem cell gene therapy following cessation of PEG-ADA and use of mild preconditioning. Molecular Therapy, 14(4): 505-513. Gaspar, H.B., Parsley, K.L., Howe, S., King, D., Gilmour, K.C., Sinclair, J., Brouns, G., Schmidt, M., Von Kalle, C., Barington, T., Jakobsen, M.A., Christensen, H.O., Al Ghonaium, A., White, H.N., Smith, J.L., Levinsky, R.J., Ali, R.R., Kinnon, C. & Thrasher, A.J. 2004. Gene therapy of X-linked severe combined immunodeficiency by use of a pseudotyped gammaretroviral vector. Lancet, 364(9452): 2181-2187. Gaszner, M. & Felsenfeld, G. 2006. Insulators: exploiting transcriptional and epigenetic mechanisms. Nature Reviews Genetics, 7(9): 703-713. Sağlık Bakanlığı, 2002. Genetik Hastalıklar Sağlık Personeli İçin El Kitabı. Ana Çocuk Sağlığı ve Aile Planlaması Genel Müdürlüğü, No: 749, ISBN: 978-975-590-273-9, Retrieved from https://sbu.saglik.gov.tr/Ekutuphane/Yayin/136. Ghosh, S. & Gaspar, H.B. 2017. Gene Therapy Approaches to Immunodeficiency. Hematology, Oncology Clinics of North America, 31(5): 823-834. Grez, M., Reichenbach, J., Schwable, J., Seger, R., Dinauer, M.C. & Thrasher, A. J. 2011. Gene therapy of chronic granulomatous disease: the engraftment dilemma. Molecular Therapy, 19(1): 28-35. Hacein-Bey-Abina, S., Garrigue, A., Wang, G.P., Soulier, J., Lim, A., Morillon, E., Clappier, E., Caccavelli, L., Delabesse, E., Beldjord, K., Asnafi, V., MacIntyre, E., Dal Cortivo, L., Radford, I., Brousse, N., Sigaux, F., Moshous, D., Hauer, J., Borkhardt, A., Belohradsky, B.H., Wintergerst, U., Velez, M.C., Leiva, L., Sorensen, R., Wulffraat, N., Blanche, S., Bushman, F.D., Fischer, A. & Cavazzana-Calvo, M. 2008. Insertional oncogenesis in 4 patients after retrovirus-mediated gene therapy of SCID-X1. The Journal of Clinical Investigation, 118(9): 3132-3142. Hacein-Bey-Abina, S., Le Deist, F., Carlier, F., Bouneaud, C., Hue, C., De Villartay, J. P., Thrasher, A.J., Wulffraat, N., Sorensen, R., Dupuis-Girod, S., Fischer, A., Davies, E.G., Kuis, W., Leiva, L. & Cavazzana-Calvo, M. 2002. Sustained correction of X-linked severe combined immunodeficiency by ex vivo gene therapy. The New England Journal of Medicine, 346(16): 1185-1193. Hacein-Bey-Abina, S., Von Kalle, C., Schmidt, M., McCormack, M.P., Wulffraat, N., Leboulch, P., Lim, A., Osborne, C.S., Pawliuk, R., Morillon, E., Sorensen, R., Forster, A., Fraser, P., Cohen, J.I., de Saint Basile, G., Alexander, I., Wintergerst, U., Frebourg, T., Aurias, A., Stoppa-Lyonnet, D., Romana, S., Radford-Weiss, I., Gross, F., Valensi, F., Delabesse, E., Macintyre, E., Sigaux, F., Soulier, J., Leiva, L.E., Wissler, M., Prinz, C., Rabbitts, T.H., Le Deist, F., Fischer, A. & Cavazzana-Calvo, M. 2003. LMO2-associated clonal T cell proliferation in two patients after gene therapy for SCID-X1. Science, 302(5644): 415-419. Hacein-Bey Abina, S., Gaspar, H.B., Blondeau, J., Caccavelli, L., Charrier, S., Buckland, K., Picard, C., Six, E., Himoudi, N., Gilmour, K., McNicol, A.M., Hara, H., Xu-Bayford, J., Rivat, C., Touzot, F., Mavilio, F., Lim, A., Treluyer, J.M., Héritier, S., Lefrère, F., Magalon, J., Pengue-Koyi, I., Honnet, G., Blanche, S., Sherman, E.A., Male, F., Berry, C., Malani, N., Bushman, F.D., Fischer, A., Thrasher, A.J., Galy, A. & Cavazzana, M. 2015. Outcomes following gene therapy in patients with severe Wiskott-Aldrich syndrome. Journal of the American Medical Association, 313(15):1550-1563. Hershfield, M.S. 1995. PEG-ADA replacement therapy for adenosine deaminase deficiency: an update after 8.5 years. Clinical Immunology and Immunopathology, 76(3 Pt 2): S228-232. Higgs, D.R., Engel, J.D. & Stamatoyannopoulos, G. 2012. Thalassaemia. Lancet, 379(9813): 373-383. Howe, S.J., Mansour, M.R., Schwarzwaelder, K., Bartholomae, C., Hubank, M., Kempski, H., Brugman, M.H., Pike-Overzet, K., Chatters, S.J., de Ridder, D., Gilmour, K.C., Adams, S., Thornhill, S.I., Parsley, K.L., Staal, F.J., Gale, R.E., Linch, D.C., Bayford, J., Brown, L., Quaye, M., Kinnon, C., Ancliff, P., Webb, D.K., Schmidt, M., von Kalle, C., Gaspar, H.B. & Thrasher, A.J. 2008. Insertional mutagenesis combined with acquired somatic mutations causes leukemogenesis following gene therapy of SCID-X1 patients. The Journal of Clinical Investigation, 118(9): 3143-3150. Kang, H.J., Bartholomae, C C., Paruzynski, A., Arens, A., Kim, S., Yu, S.S., Hong, Y., Joo, C.W., Yoon, N.K., Rhim, J.W., Kim, J.G., Von Kalle, C., Schmidt, M., Kim, S. & Ahn, H.S. 2011. Retroviral gene therapy for X-linked chronic granulomatous disease: results from phase I/II trial. Molecular Therapy, 19(11): 2092-2101. Kanter, J., Walters, M.C., Hsieh, M.M., Krishnamurti, L., Kwiatkowski, J., Kamble, R. T., von Kalle, C., Kuypers, F. A., Cavazzana, M. & Leboulch, P. 2016. Interim Results from a Phase 1/2 Clinical Study of Lentiglobin Gene Therapy for Severe Sickle Cell Disease. Blood, 128(22): 1176-1176. Keller, M.D., Notarangelo, L.D. & Malech, H.L. 2018. Future of Care for Patients With Chronic Granulomatous Disease: Gene Therapy and Targeted Molecular Medicine. Journal of the Pediatric Infectious Diseases Society, 7(suppl_1): 40-44. Kilinc, Y. 2006. Hemoglobinopathies in Turkey. Turkish Journal of Hematology, 23(4): 214-216. Kohn, D.B., Hershfield, M.S., Carbonaro, D., Shigeoka, A., Brooks, J., Smogorzewska, E. M., Barsky, L.W., Chan, R., Burotto, F., Annett, G., Nolta, J.A., Crooks, G., Kapoor, N., Elder, M., Wara, D., Bowen, T., Madsen, E., Snyder, F.F., Bastian, J., Muul, L., Blaese, R.M., Weinberg, K. & Parkman, R.1998. T lymphocytes with a normal ADA gene accumulate after transplantation of transduced autologous umbilical cord blood CD34+ cells in ADA-deficient SCID neonates. Nature Medicine, 4(7): 775-780. Lewis, P.F. & Emerman, M. 1994. Passage through mitosis is required for oncoretroviruses but not for the human immunodeficiency virus. Journal of Virology, 68(1): 510-516. Maetzig, T., Galla, M., Baum, C. & Schambach, A. 2011. Gammaretroviral vectors: biology, technology and application. Viruses, 3(6): 677-713. Majhail, N.S., Farnia, S.H., Carpenter, P.A., Champlin, R.E., Crawford, S., Marks, D. I., Omel, J.L., Orchard, P.J., Palmer, J., Saber, W., Savani, B.N., Veys, P.A., Bredeson, C.N., Giralt, S.A. & LeMaistre, C.F. 2015. Indications for Autologous and Allogeneic Hematopoietic Cell Transplantation: Guidelines from the American Society for Blood and Marrow Transplantation. Biology of Blood and Marrow Transplantation, 21(11): 1863-1869. Malech, H.L., Maples, P.B., Whiting-Theobald, N., Linton, G.F., Sekhsaria, S., Vowells, S.J., Li, F., Miller, J.A., DeCarlo, E., Holland, S.M., Leitman, S.F., Carter, C.S., Butz, R.E., Read, E.J., Fleisher, T.A., Schneiderman, R.D., Van Epps, D.E., Spratt, S.K., Maack, C.A., Rokovich, J.A., Cohen, L.K. & Gallin, J.I. 1997. Prolonged production of NADPH oxidase-corrected granulocytes after gene therapy of chronic granulomatous disease. Proceedings of the National Academy of Sciences of the United States of America, 94(22): 12133-12138. Mansilla-Soto, J., Riviere, I., Boulad, F. & Sadelain, M. 2016. Cell and Gene Therapy for the Beta-Thalassemias: Advances and Prospects. Human Gene Therapy, 27(4): 95-304. Marktel, S., Cicalese, M.P., Giglio, F., Scaramuzza, S., Calbi, V., Casiraghi, M., Ciotti, F., Lidonnici, M.R., Rossi, C. & Masera, N. 2017. Gene Therapy for Beta Thalassemia: Preliminary Results from the PHASE I/II Tiget-Bthal Trial of Autologous Hematopoietic Stem Cells Genetically Modified with GLOBE Lentiviral Vector. Blood, 130(Suppl 1): 355-355. Miccio, A., Cesari, R., Lotti, F., Rossi, C., Sanvito, F., Ponzoni, M., Routledge, S.J., Chow, C.M., Antoniou, M.N. & Ferrari, G. 2008. In vivo selection of genetically modified erythroblastic progenitors leads to long-term correction of beta-thalassemia. Proceedings of the National Academy of Sciences of the United States of America, 105(30): 10547-10552. Miyoshi, H., Smith, K.A., Mosier, D.E., Verma, I.M. & Torbett, B.E. 1999. Transduction of human CD34+ cells that mediate long-term engraftment of NOD/SCID mice by HIV vectors. Science, 283(5402): 682-686. Modlich, U., Navarro, S., Zychlinski, D., Maetzig, T., Knoess, S., Brugman, M. H., Schambach, A., Charrier, S., Galy, A., Thrasher, A.J., Bueren, J. & Baum, C. 2009. Insertional transformation of hematopoietic cells by self-inactivating lentiviral and gammaretroviral vectors. Molecular Therapy, 17(11): 1919-1928. Morris, E. C., Fox, T., Chakraverty, R., Tendeiro, R., Snell, K., Rivat, C., Grace, S., Gilmour, K., Workman, S., Buckland, K., Butler, K., Chee, R., Salama, A.D., Ibrahim, H., Hara, H., Duret, C., Mavilio, F., Male, F., Bushman, F.D., Galy, A., Burns, S.O., Gaspar H.B. & Thrasher, A.J. 2017. Gene therapy for Wiskott-Aldrich syndrome in a severely affected adult. Blood, 130(11): 1327-1335. Naldini, L., Blomer, U., Gallay, P., Ory, D., Mulligan, R., Gage, F. H., Verma, I.M. & Trono, D. 1996. In vivo gene delivery and stable transduction of nondividing cells by a lentiviral vector. Science, 272(5259): 263-267. Negre, O., Bartholomae, C., Beuzard, Y., Cavazzana, M., Christiansen, L., Courne, C., Deichmann, A., Denaro, M., de Dreuzy, E., Finer, M., Fronza, R., Gillet-Legrand, B., Joubert, C., Kutner, R., Leboulch, P., Maouche, L., Paulard, A., Pierciey, F.J., Rothe, M., Ryu, B., Schmidt, M., von Kalle, C., Payen, E. & Veres, G. 2015. Preclinical evaluation of efficacy and safety of an improved lentiviral vector for the treatment of beta-thalassemia and sickle cell disease. Current Gene Therapy, 15(1): 64-81. Nisole, S. & Saib, A. 2004. Early steps of retrovirus replicative cycle. Retrovirology, 1: 1-9. Otsu, M., Nakajima, S., Kida, M., Maeyama, Y., Toita, N., Hatano, N., Kawamura, N., Kobayashi, R., Tatsuzawa, O. & Onodera M. 2006. Stem Cell Gene Therapy with No Pre-Conditioning for the ADA-Deficiency Patients Leads to Generalized Detoxification and Delayed, but Steady Hematological Reconstitution. Molecular Therapy, 13(S1): S418. Ott, M. G., Schmidt, M., Schwarzwaelder, K., Stein, S., Siler, U., Koehl, U., Glimm, H., Kühlcke, K., Schilz, A., Kunkel, H., Naundorf, S., Brinkmann, A., Deichmann, A., Fischer, M., Ball, C., Pilz, I., Dunbar, C., Du, Y., Jenkins, N.A., Copeland, N.G., Lüthi, U., Hassan, M., Thrasher, A.J., Hoelzer, D., von Kalle, C., Seger, R. & Grez, M. 2006. Correction of X-linked chronic granulomatous disease by gene therapy, augmented by insertional activation of MDS1-EVI1, PRDM16 or SETBP1. Nature Medicine, 12(4), 401-409. Pauwels, K., Gijsbers, R., Toelen, J., Schambach, A., Willard-Gallo, K., Verheust, C., Debyser, Z. & Herman, P. 2009. State-of-the-art lentiviral vectors for research use: risk assessment and biosafety recommendations. Current Gene Therapy, 9(6): 459-474. Perumbeti, A., Higashimoto, T., Urbinati, F., Franco, R., Meiselman, H.J., Witte, D. & Malik, P. 2009. A novel human gamma-globin gene vector for genetic correction of sickle cell anemia in a humanized sickle mouse model: critical determinants for successful correction. Blood, 114(6): 1174-1185. Porteus, M. & Carroll, D. 2005. Gene targeting using zinc finger nucleases. Nature, 23(8): 967-973. Puthenveetil, G., Scholes, J., Carbonell, D., Qureshi, N., Xia, P., Zeng, L., Li S, Yu, Y., Hiti, A.L., Yee, J.K. & Malik, P. 2004. Successful correction of the human beta-thalassemia major phenotype using a lentiviral vector. Blood, 104(12): 3445-3453. Ribeil, J.A., Hacein-Bey-Abina, S., Payen, E., Magnani, A., Semeraro, M., Magrin, E., Caccavelli, L., Neven, B., Bourget, P., El Nemer, W., Bartolucci, P., Weber, L., Puy, H., Meritet, J.F., Grevent, D., Beuzard, Y., Chrétien, S., Lefebvre, T., Ross, R.W., Negre, O., Veres, G., Sandler, L., Soni, S., de Montalembert, M., Blanche, S., Leboulch, P. & Cavazzana, M. 2017. Gene Therapy in a Patient with Sickle Cell Disease. The New England Journal of Medicine, 376(9): 848-855. Romero, Z., Urbinati, F., Geiger, S., Cooper, A.R., Wherley, J., Kaufman, M. L., Hollis, R.P., de Assin, R.R., Senadheera, S., Sahagian, A., Jin, X., Gellis, A., Wang, X., Gjertson, D., Deoliveira, S., Kempert, P., Shupien, S., Abdel-Azim, H., Walters, M.C., Meiselman, H.J., Wenby, R.B., Gruber, T., Marder, V., Coates, T.D. & Kohn, D.B. 2013. Beta-globin gene transfer to human bone marrow for sickle cell disease. The Journal of Clinical Investigation. 123(8): 3317-3330. Roselli, E.A., Mezzadra, R., Frittoli, M.C., Maruggi, G., Biral, E., Mavilio, F., Mastropietro, F., Amato, A., Tonon, G., Refaldi, C., Cappellini, M.D., Andreani, M., Lucarelli, G., Roncarolo, M.G., Marktel, S. & Ferrari, G. 2010. Correction of beta-thalassemia major by gene transfer in haematopoietic progenitors of pediatric patients. EMBO Molecular Medicine, 2(8): 315-328. Rovelli, A.M. & Steward, C.G. 2005. Hematopoietic cell transplantation activity in Europe for inherited metabolic diseases: open issues and future directions. Bone Marrow Transplant, 35 (Suppl 1): S23-26. Royer-Pokora, B., Loos, U. & Ludwig, W. D. 1991. TTG-2, a new gene encoding a cysteine-rich protein with the LIM motif, is overexpressed in acute T-cell leukaemia with the t(11;14)(p13;q11). Oncogene, 6(10): 1887-1893. Sanlioglu, S. 2016. Gen Tedavisi (Bölüm 20), In: Münis DÜNDAR Tıbbı Genetik ve Klinik Uygulamalar: Akademisyen Kitabevi, 1221pp. Santilli, G., Almarza, E., Brendel, C., Choi, U., Beilin, C., Blundell, M.P., Haria, S., Parsley, K.L., Kinnon, C., Malech, H.L., Bueren, J.A., Grez, M. & Thrasher, A.J. 2011. Biochemical correction of X-CGD by a novel chimeric promoter regulating high levels of transgene expression in myeloid cells. Molecular Therapy, 19(1): 122-132. Schambach, A., Swaney, W.P. & van der Loo, J.C. 2009. Design and production of retro- and lentiviral vectors for gene expression in hematopoietic cells. Molecular Biology Reports, 506: 191-205. Schambach, A., Zychlinski, D., Ehrnstroem, B. & Baum, C. 2013. Biosafety features of lentiviral vectors. Human Gene Therapy, 24(2): 132-142. Schwarzwaelder, K., Howe, S. J., Schmidt, M., Brugman, M. H., Deichmann, A., Glimm, H., Schmidt, S., Prinz, C., Wissler, M., King, D.J., Zhang, F., Parsley, K.L., Gilmour, K.C., Sinclair, J., Bayford, J., Peraj, R., Pike-Overzet, K., Staal, F.J., de Ridder, D., Kinnon, C., Abel, U., Wagemaker, G., Gaspar, H.B., Thrasher, A.J. & von Kalle C. 2007. Gammaretrovirus-mediated correction of SCID-X1 is associated with skewed vector integration site distribution in vivo. The Journal of Clinical Investigation, 117(8): 2241-2249. Serana, F., Sottini, A., Chiarini, M., Zanotti, C., Ghidini, C., Lanfranchi, A., Notarangelo, L.D., Caimi, L. & Imberti L. 2010. The different extent of B and T cell immune reconstitution after hematopoietic stem cell transplantation and enzyme replacement therapies in SCID patients with adenosine deaminase deficiency. Journal of Immunology, 185(12): 7713-7722. Shah, R. 2006. Regulatory framework for the treatment of orphan diseases. In Mehta A, Beck M & S.-P. G (Eds. ), Fabry Disease: Perspectives from 5 Years of FOS. Oxford: Oxford PharmaGenesis. Shapiro, E., Krivit, W., Lockman, L., Jambaque, I., Peters, C., Cowan, M., Harris, R., Blanche, S., Bordigoni, P., Loes, D., Ziegler, R., Crittenden, M., Ris, D., Berg, B., Cox, C., Moser, H., Fischer, A. & Aubourg, P. 2000. Long-term effect of bone-marrow transplantation for childhood-onset cerebral X-linked adrenoleukodystrophy. Lancet, 356(9231): 713-718. Sharma, A., Jacob, A., Tandon, M. & Kumar, D. 2010. Orphan drug: Development trends and strategies. Journal of Pharmacy and Bioallied Sciences, 2(4): 290-299. Shaw, A. & Cornetta, K. 2014. Design and Potential of Non-Integrating Lentiviral Vectors. Biomedicines, 2(1): 14-35. Shimotohno, K. & Temin, H.M. 1981. Formation of infectious progeny virus after insertion of herpes simplex thymidine kinase gene into DNA of an avian retrovirus. Cell, 26(1 Pt 1): 67-77. Siler, U., Paruzynski, A., Holtgreve-Grez, H., Kuzmenko, E., Koehl, U., Renner, E. D., Alhan, C., de Loosdrecht, A.A., Schwäble, J., Pfluger, T., Tchinda, J., Schmugge, M., Jauch, A., Naundorf, S., Kühlcke, K., Notheis, G., Güngor, T., Kalle, C.V., Schmidt, M., Grez, M., Seger, R. & Reichenbach, J. 2015. Successful Combination of Sequential Gene Therapy and Rescue Allo-HSCT in Two Children with X-CGD-Importance of Timing. Current Gene Therapy, 15(4): 416-427. Sinn, P.L., Sauter, S.L. & McCray, P.B. Jr. 2005. Gene therapy progress and prospects: development of improved lentiviral and retroviral vectors--design, biosafety, and production. Gene Therapy, 12(14): 1089-1098. Sokolic, R., Kesserwan, C., & Candotti, F. 2008. Recent advances in gene therapy for severe congenital immunodeficiency diseases. Current Opinion in Hematology, 15(4): 375-380. Stein, S., Ott, M.G., Schultze-Strasser, S., Jauch, A., Burwinkel, B., Kinner, A., Schmidt, M., Krämer, A., Schwäble, J., Glimm, H., Koehl, U., Preiss, C., Ball, C., Martin, H., Göhring, G., Schwarzwaelder, K., Hofmann, W.K., Karakaya, K., Tchatchou, S., Yang, R., Reinecke, P., Kühlcke, K., Schlegelberger, B., Thrasher, A.J., Hoelzer, D., Seger, R., von Kalle, C. & Grez, M. 2010. Genomic instability and myelodysplasia with monosomy 7 consequent to EVI1 activation after gene therapy for chronic granulomatous disease. Nature Medicine, 16(2): 198-204. Temin, H.M. 1990. Safety considerations in somatic gene therapy of human disease with retrovirus vectors. Human Gene Therapy, 1(2): 111-123. Thompson, A.A., Kwiatkowski, J., Rasko, J., Hongeng, S., Schiller, G.J., Anurathapan, U., Cavazzana, M., Ho, P.J., von Kalle, C. & Kletzel M. 2016. Lentiglobin Gene Therapy for Transfusion-Dependent β-Thalassemia: Update from the Northstar Hgb-204 Phase 1/2 Clinical Study. Blood, 128(22): 1175-1175. Thrasher, A.J., Hacein-Bey-Abina, S., Gaspar, H.B., Blanche, S., Davies, E.G., Parsley, K., Gilmour, K., King, D., Howe, S., Sinclair, J., Hue, C., Carlier, F., von Kalle, C., de Saint Basile, G., le Deist, F., Fischer, A. & Cavazzana-Calvo, M. 2005. Failure of SCID-X1 gene therapy in older patients. Blood, 105(11): 4255-4257. Vink, C.A., Counsell, J.R., Perocheau, D.P., Karda, R., Buckley, S.M.K., Brugman, M.H., Galla, M., Schambach, A., McKay, T.R., Waddington, S.N. & Howe S.J. 2017. Eliminating HIV-1 Packaging Sequences from Lentiviral Vector Proviruses Enhances Safety and Expedites Gene Transfer for Gene Therapy. Molecular Therapy, 25(8): 1790-1804. Wanisch, K. & Yanez-Munoz, R.J. 2009. Integration-deficient lentiviral vectors: a slow coming of age. Molecular Therapy, 17(8): 1316-1332. Wei, C.M., Gibson, M., Spear, P.G. & Scolnick, E.M. 1981. Construction and isolation of a transmissible retrovirus containing the src gene of Harvey murine sarcoma virus and the thymidine kinase gene of herpes simplex virus type 1. Journal of Virology, 39(3): 935-944. Wynn, R. 2011. Stem cell transplantation in inherited metabolic disorders. Hematology the American Society of Hematology Education Program, 2011: 285-291. Zufferey, R., Nagy, D., Mandel, R. J., Naldini, L. & Trono, D. 1997. Multiply attenuated lentiviral vector achieves efficient gene delivery in vivo. Nature Biotechnology, 15(9): 871-875. Zychlinski, D., Schambach, A., Modlich, U., Maetzig, T., Meyer, J., Grassman, E., Mishra, A. & Baum C. 2008. Physiological promoters reduce the genotoxic risk of integrating gene vectors. Molecular Therapy, 16(4): 718-725. 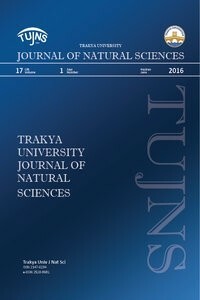 Trakya University Journal of Natural Sciences is lisansed under Creative Commons Attribution 4.0 International License.